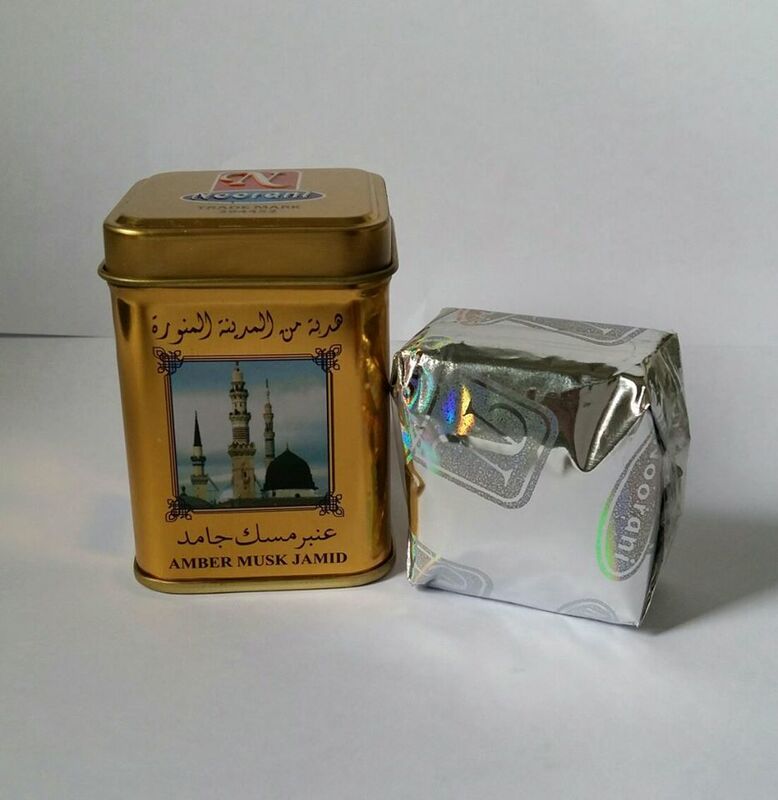 Amber musk Jamid is Solid perfume, It is in mainly used for fragrance the body, natural deodorant, and cloths. Apart from this, it can be used as an ingredient for composition of perfumery, it’s free from alcohol. Apply a dry perfume on the body after shower, scrub the neck, and you will get a beautiful perfumed body all the day. The another usage of “Amber Jamid” is for perfumed the cloths and you can place the a piece of Amber into a closet. Your clothes will get a nice oriental scent. You can also use fragrance perfumes in the premises. Add a small piece in the aroma lamp or a sachet of herbs. Barakah Al Haramain EDP (Spray) combines rich Dehnal Oudh fragrance with a gentle blend of sweet notes of warm Amber, Rose and Sandalwood. Weave the magic around your loved ones by just gifting this lovely fragrance. Excellent by Al Haramain Perfumes is a Woody Spicy fragrance for Women. The fragrance features woody notes and spicy notes.